Motorola PHOTON 4G sequel for Sprint this year? Last year, Sprint introduced the Motorola PHOTON 4G which became the manufacturer's flagship model on Sprint. According to a source for PocketNow, Sprint and Motorola will be trying to repeat the success with a sequel version of the phone. The handset is expected to be called the Motorola PHOTON Q 4G LTE which tells you that there will be support for the carrier's upcoming LTE pipeline. Nothing in the way of specs has been leaked but considering that the original version was a high-end device, you would expect something in the way of a 720p HD display with the same diamond-cut corners. While the original featured a dual-core Tegra 2 processor, the LTE at the end of the sequel's name precludes it from using the quad-core Tegra 3. Considering that a benchmark test showed that Motorola could be looking to feature the Qualcomm Snapdragon S4 processor in some of its new high-end handsets, you could find the speedy S4 processor driving the Photon sequel. There is no word on availability or pricing, but we would imagine that the kickstand would be back and that Android 4.0 would be installed. with ICS and an S4 or better the EVO 4G LTE will be in for some trouble. xD the EVO line sure is coming under fire from Motorola. Looks like Sprint will have a nice trio of phones coming out this year with the EVO LTE, Photon 2 and Galaxy III (assuming it comes to Sprint as well). Choices, choices. This is a first. 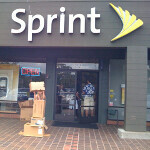 I never knew Sprint considered the Photon the flagship model. Out of the trio I am positive it sold the least. In fact I have only seen a handful out in the wild, while I saw tons of Evo's and SG2's. The Photon is an excellent phone, dual core Tegra 2, 1GB RAM, 16GB storage, 4G, international / world phone, qHD display, 8MP camera with HD video, noise cancelling mic's, awesome Motorola radios, oh and a kickstand. It is on par with the HTC EVO 3D and the Samsung Galaxy SII Epic 4G Touch, the flagships at that time. What made the Photon great were the Moto accessories. When I bought my Photon my local Sprint store could not keep the lapdocks, HD docks and car docks in stock. I still have my Photon which is hard to believe because I switch phones every 6 months or so. i know it's a good phone. what i meant by "that's not saying a lot" is that there's barely any Motorola phones on Sprint so in turn being the Flagship does not say a lot. Excited to see this continue. We have the Droid lineup (Mostly Motorola except for the Charge) for VZW, the Atrix selection for AT&T, and now the Photons for Sprint. Powerful flagship Android devices for each carrier. You have to hand it to Motorola for making their presence of mid to high tier devices known on each carrier in the last year in an arena of smartphones seemingly dominated by Samsung, HTC, and Apple. IDK kind of gotten tired of MOTO phones. I used to own to OG droid but after that they kind of went down hill. Wow if they release a Photon 2, im going to have to work some overtime and upgrade my OG Photon 4G. Motorola seems to be a "love them or hate them" manufacturer, with few in-between. 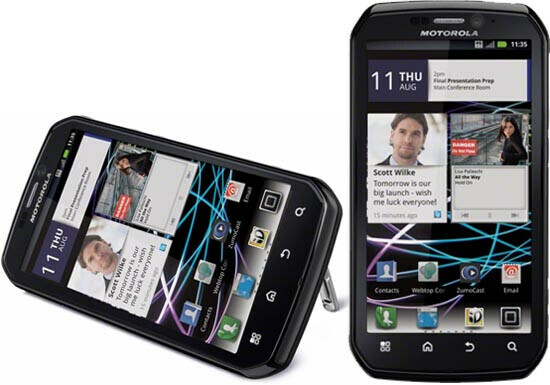 I really like Moto handsets, and liked the Photon a ton. Here's hoping the Google purchase just means better Android offerings, and the Photon 2 is a great phone. or they could do an aggressive roll out for LTE like Verizon is doing. Sprint IS working on their 3G speeds, they are upgrading all of their towers with Network Vision to use a faster 3G standard and they are adding LTE nationwide. KingKurogiii, they are aggressively deploying LTE, by the end of this year their LTE network will cover 130 miilion POPs. By next year their LTE Network will be everywhere you have 3G service. Within a year Sprint will have the strongest Network next to Verizon, and in some aspects it will be better than VZW's with HD Voice and advanced Rev. LTE and 3G. what the hell is with you Sprint Fanboys always assuming that Verizon and the other carriers are going to be sitting around twiddling their thumbs while Sprint is improving? They should give it a behemoth battery. A 4g phone that can last an entire day might have me reaching for my wallet. it's likely that they'll MAXX this bad boy up. Give this phone a qwerty keyboard and I'm sold!